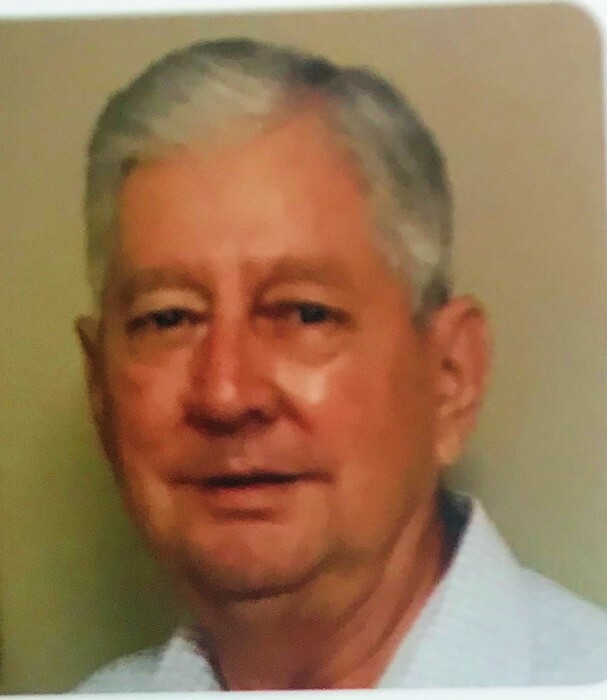 Byron Stewart, age 74, of East Dublin, passed away on Sunday, October 21, 2018 surrounded by his loving family. Byron was a 1962 graduate of East Laurens High School. He served in the United States Navy and United States Marine Corp as a Medic/Dental Tech. He was a graduate of South Georgia College with a degree in Criminal Justice. He attended Georgia Southern University, Georgia Armstrong College and the Georgia Police Academy. Byron was a Special Agent with the Georgia Department of Revenue and retired from the Georgia Bureau of Investigations as a special agent principle. He was a licensed commercial pilot, past member of AOPA, licensed Polygraph Examiner, and member of the Peace Officers Association of Georgia. He was a member of the Dublin First Church of the Nazarene, class president of the Terry Soles Sunday School Class and a past Sunday School Teacher at Serenity Place. Byron loved the outdoors, building things, caring for his animals, and being a temporary substitute school bus driver for East Laurens. Most of all, he loved his Lord Jesus Christ above everything. Byron was married to his beloved wife, Debbie Alligood Stewart, for 33 beautiful years, who he praised daily saying if it hadn’t been for God, prayers, and the love and support from Debbie, he would have never lived as long as he was blessed to live. He was preceded in death by his parents, Charles Hugh and Grace Patricia Stewart; son, Joey Dean; nephews, Johnnie Carl Jones and Ricky Allen Jones; brother-in-law, Steve Alligood; aunt, Trellie Stewart; great-aunt, Addie Graham Braddy, and brother-in-law, E.H. Jones. In addition to his wife Debbie, he is survived by his daughters, Stephanie Moye, of Lyons, Rylie Dean and Haylie Dean, both of East Dublin; son, Philip Dean (Tosha Rowland), of Wrightsville; grandsons, Brayden Dean, of East Dublin, Zach Moye and Chase Moye, both of Lyons; granddaughter, Blakley Dean, of Wrightsville; brother, Charles Wade Stewart (Willene), of Perry; sister, JoAnne Stewart Jones, of East Dublin; sisters-in-law, Debbie Brown Alligood, of Cadwell and Brenda Sue Sikes (Murrell), of Dahlonega; several nieces and nephews and special friend, Paul Sly. The family will receive friends on Wednesday, October 24, 2018 from 12:00noon until 2:30PM at Dublin First Church of the Nazarene. Services will follow at 2:30PM at the church with burial to follow in Graham Memorial Church of the Nazarene Cemetery. Pastor Don Hicks, Assoc. Pastor Myron Wise, and Bishop Tim Chapman will officiate. Pallbearers will be Johnny Tarpley, Josh Chafin, Blake Daniels, Allen Wynn, Keith Golden, Ty Moorman, and Ben Tarpley. Honorary pallbearers will be all law enforcement and law enforcement retiree’s, members of the Terry Soles Sunday School Class, and members of the East Laurens Class of 1962.